With 11 days to go, the space MMO *Ascent: The Space Game* has now reached 60 percent in funding — $21,291 out of $35,000 (Australian dollars). 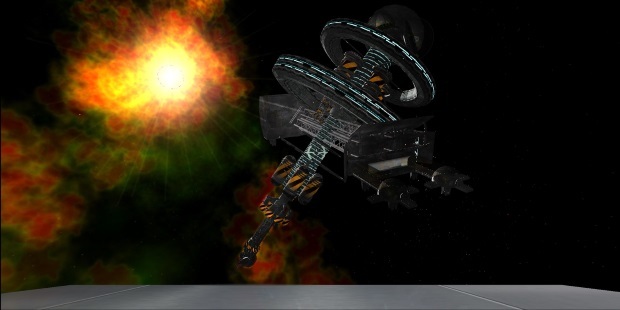 A redesigned space station has also now been added to the game! You can see it above, and get a comparison in the gallery here. Along with redesigned ships, the new space station is a great example of the work done by George Karandais. Reaching the Kickstarter goal will allow Fluffy Kitten to hire George full-time to revamp all the graphics/art in Ascent. You can find the game on Kickstarter and Steam Greenlight.